Independent Bloomberg to endorse Hillary Clinton during prime-time convention speech. Former Mayor of New York City Michael Bloomberg at the opening ceremony of Four World Trade Center, on Nov. 13, 2013, in New York City. Former New York City Mayor Michael Bloomberg will endorse Hillary Clinton during a prime-time speech at the Democratic National Convention on Wednesday night. While Bloomberg has made it known he is against Donald Trump’s candidacy, so much so that he cited potentially splitting the vote and enabling a Trump presidency as the primary reason he chose not to launch an independent White House bid of his own, the appearance at the DNC comes as a surprise, in that Bloomberg left the party in 2000. He ran for mayor as a Republican and later registered as an independent. [The endorsement] reflects Mr. Bloomberg’s increasing dismay about the rise of Donald J. Trump and a determination to see that the Republican nominee is defeated … Mr. Bloomberg, who has been sharply critical of Mr. Trump’s views on immigration and the economy, may fortify Mrs. Clinton’s appeal to the political center. And with the Republican nominee basing his campaign on his background as a businessman, Mr. Bloomberg, a billionaire media executive and philanthropist, may help counter the Trump sales pitch. 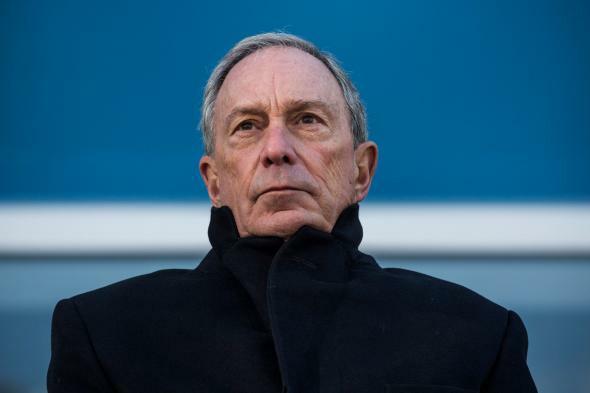 Howard Wolfson, a Bloomberg adviser, told the Times that the endorsement has been several weeks in the making, and the former mayor was enticed by the offer to give an address that reflected his political beliefs, rather than strict Democratic Party doctrine. Bloomberg is scheduled to appear on Wednesday evening along with President Obama and Vice President Joe Biden.